This can be an excellent ice breaker to help guests get acquainted, or a blast to play with close friends and family. To play this game, have guests write their New Year’s Resolution on a piece of paper and throw it in a hat or bowl. The host will then shuffle the resolutions and read them out loud. Guests will write down who they think made each resolution, and the guest with the most correct answers wins! Let’s ring in the New Year by remembering last year with a trivia game! Pop culture events, political news, and milestones are all terrific topics to draw questions from. You can find question ideas from blogs, news articles, and magazines. If you want to make it even more interesting, divide yourselves into teams and create a prize for the winner. Bingo is the classic party game to get guests involved and entertained. Themed Bingo is a creative way to tie-in the New Year’s Eve spirit and prepare for the New Year! You can create bingo cards based on current events from 2017, or catchy themed icons such as “champagne” and “sparklers”. Feel free to get creative with this! It doesn’t get more classic than charades, and it’s easy to play! To put a New Year’s twist on it, build the theme around 2017 movies, songs, characters, and events. This game takes quick thinking and is perfect for some friendly competition! Set a timer for 2 ½ minutes as guests think of New Year’s related words from A through Z! The guest who can come up with the most New Year’s related words wins. We hope you enjoy some of our game ideas! Wherever you are spending your New Year’s Eve, these classic party games are sure to have everyone laughing and experiencing an amazing time. 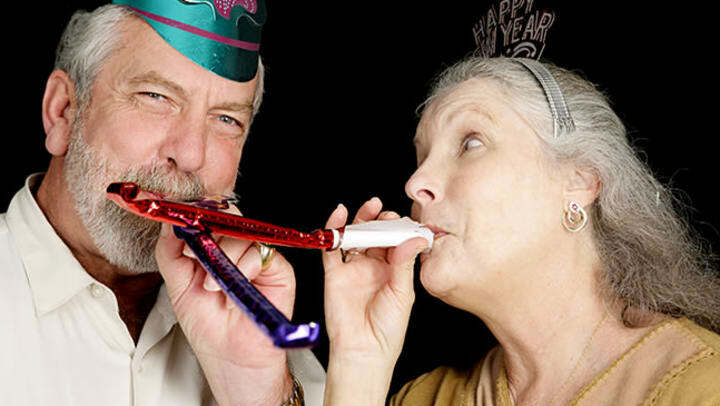 Whether you are spending New Year’s Eve in one of our Independent Living or Assisted Living Communities, Discovery Village has plenty of exciting New Year’s Eve activities for our residents. Browse our Celebrations Activities Calendar to learn about more unique ways to celebrate the holidays and stay updated with the latest happenings! From our family at Discovery Village to yours, we wish you a very Happy New Year!